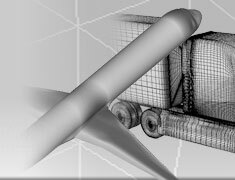 Contact us to learn more about BMI's aerodynamic consulting and its applications. 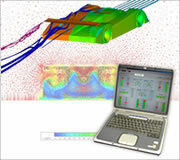 In the aircraft industry, Computational Fluid Dynamics can take a 747 and predict its physics to within 1 percent accuracy, providing critical insight into its speed, maneuverability and fuel usage. 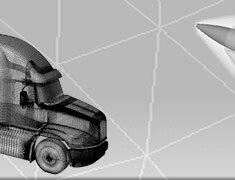 BMI uses the same advanced technology to work with any object moving through a fluid or gas or any object that has fluid moving through it. 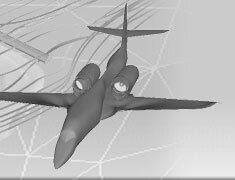 Using a complex mathematical process that applies aerodynamics to the 3D image of the product, you can test against 100+ million points or higher. BMI Corporation can simulate racecars in drafting configurations, a submarine in water, a fisherman's spinner bait and modifications of each — all to see the differences in performance. 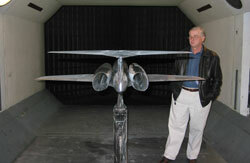 With over 40 years and 250 wind tunnel tests, BMI has seen it all. Many times it is important to validate what the CFD analysis is saying and the easiest way to accomplish this is at the wind tunnel. BMI Corporation works with its clients to ensure they are getting all the necessary information about their design. 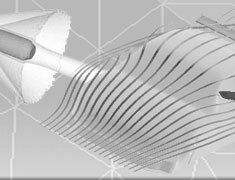 With an understanding of what goes into a wind tunnel test as well as the cost associated with it, BMI looks to minimize those tests. Using CFD for a majority of the design changes and analysis, BMI will take results from the virtual world and transforms them into results in the real world. 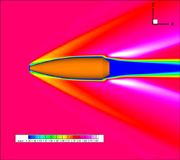 BMI will collaborate with your engineers to design and optimize your product and help you understand exactly what is happening with the aerodynamics. Using BMI provides a means to test things that could never be tested in a wind tunnel and will give a more accurate results for those objects that can be tested. Many times a wind tunnel test just doesn't cut it. Either a large enough wind tunnel is cost prohibitive, the inaccuracies inherent in such a test are preventative or the test requires wheels to be spinning and a moving floor which very few wind tunnels have. In many situations BMI Corporation finds it far more beneficial to test in an open environment. For BMI's straight line testing, the vehicle is equipped with a full data system to measure both the aerodynamic and mechanical forces. These tests are conducted at one of several private testing facilities where an extremely smooth, long straight road is used. The team members at BMI can then look at the recorded information and determine the all values of interest to the client. How Important is an Aero Advantage in NASCAR?